Paper prepared prior to the 2017 meeting of the UNESCO World Heritage Committee in Krakow, Poland, 2-12 July 2017. The International NGO Forum on World Heritage takes place in conjunction with the UNESCO World Heritage Committee meeting and will present cases of World Heritage Sites where there is a concern for their safeguarding and management, which should be brought to the attention of the World Heritage Committee and the general public. This paper is an analysis of the current endangered Iraqi heritage sites, including the Iraqi Marshes which were inscribed in the UNESCO World Heritage List one year ago. Conflict threatens the heritage of Iraq. Years of armed and political conflict has left an impact on the country’s four UNESCO heritage sites. All of the 3 cultural heritage sites and 1 mixed cultural/natural heritage have seen (partial) destruction in the past years, and they continue to be under threat. Conflict has had disastrous consequences for cultural heritage sites in Iraq which have been destroyed by Daesh with the aim of wiping out Iraq’s history and cultural memory through cultural genocide. At the same time, conflict and war has left an imprint on natural heritage: in Iraq particularly through the use of water as a weapon of war. In conflict, cultural heritage becomes a target with the aim of ‘cultural cleansing’ while resources of natural heritage sites suffer from depletion. This Mesopotamian fortress city was founded 2000 B.C and was considered to be the best preserved Parthian city, encircled by inner and outer walls and containing finely preserved statues and columns in Hellenistic style. The city was destroyed by Daesh early 2015 and subsequently included in UNESCO’s “World Heritage in Danger” List. The group used sledgehammers and guns to destroy carvings, statues. The extent of the demolition is unknown – even the Iraqi authorities have not been able to assess it. It was considered to be one of Iraq’s greatest archeological sites. The government of Iraq has been requested to submit and updated report on the state of the site by February 1, 2017. The ancient Assyrian city of Assur dates back to the 3rd millennium. It was the capital of the Assyrian Empire as well as its religious center. In 2002 the Iraqi government announced its plan to construct Makhul dam, which would flood the city. This megaproject was a response to Turkey’s continued dam construction and water storage which lead to decreased water flows in Iraq. The project was canceled several years later. The site however was included in the “World Heritage in Danger” list of UNESCO since 2003 for possible future dam construction and “lack of adequate protection”. In 2015 the site was damaged in the conflict with Daesh. An assessment of the damage has been conducted and preventive preservation has begun, by the state of Iraq. The old city of Samarra was the capital of the Abbasid Caliphate in the 7th century and “the only surviving Islamic capital that retains its original plan, architecture and arts, such as mosaics and carvings”. The Great Mosque and its spiral minaret are the most famous monuments of the site. The city, its holy shrines and archeological site have been under continuous threat in the past 10 years by attacks from Al-Qaeda, and recently Daesh, who took control of city portions in 2015. They continued to infiltrate the city. That is why the site was inscribed in UNESCO’s “World Heritage in Danger” list. Conservation of Samarra Archeological City has been discontinued since the conflict with Daesh erupted. The Ahwar of Iraq are made up of three archeological sites and four wetland areas which are natural sites. The Mesopotamian Marshes are one of the world’s largest inland delta systems. In the 1980s, Saddam Hussein drained the Marshes in a political conflict, in order to drive out the indigenous Shia population. At the beginning of the 2003 Iraq War, the Marshes were only 10% of their original size. After the war, they were partly restored with the help of environmental organizations. After deliberate draining in the second half of the 20th century, the Marshes now face again the threat of decreasing by a compound problem that includes insufficient water flow exacerbated by the use of dams in political and military conflicts and construction of new large dams upstream, such as Ilisu Dam in Turkey. This falls within UNESCO’s own criteria to be included in the “World Heritage in Danger” List. However they are not! Identity has become a target of war in political and military conflicts. Heritage, cultural and natural, is a marker of that identity and in war its destruction can become a goal if conflict parties want to erase that identity. Heritage has been a tool used by ideological groups, in particular nationalists, to enforce their narrative and interests by carrying out actions that cause damage to heritage, directly or indirectly. In Iraq we have seen cultural violence with the aim of erasing parts of Iraq’s cultural history, and denounce “the other”. Daesh has wiped out heritage sites in Iraq (Hatra, Assur but also Nimrud) in order to erase parts of Iraq’s history and cultural memory that do not fit their ideology and political entity. UNESCO sees cultural heritage as an international security issue, threatened by conflict. In addition, the impact of political conflict manifests itself in less obvious ways. In an extreme version of politicization, we can see the securitization of natural resources; they become strategic assets. In the Middle-East, we have witnessed the securitization of water, which then becomes a fundamental natural resource that needs to be protected. States are willing to use water and water infrastructure as weapons of war, and wage war over it. This comes at the expense of cultural and natural heritage. In the case of Iraq, the natural heritage of the Ahwar (which includes the marshlands) has been under threat by continued construction of large dams. Such large-scale development projects would dry up downstream regions, including the Marshes. In particular Ilisu Dam, currently under construction in Turkey, is set to have a huge impact on the water flows to Southern Iraq. In the run over water resources, Turkey will be able to control and reduce downstream water flows through this large dam. This in its turn increases the likelihood of water wars – with destructive consequences for all natural heritage, and possibly cultural heritage as well, as was demonstrated when the Iraqi government at the turn of the century had developed the plan to construct Makhul Dam which would flood and obliterate the UNESCO World Heritage site of Assur. This was in response to the construction of Ilisu Dam, which would allow Turkey to take more water from the Tigris River; Makhul Dam would store water Iraqi use. Ultimately the dam plans were canceled. However within Iraq government officials of the Kurdistan Region of Iraq have on many occasions expressed their willingness to use water as a weapon of war, and limit water flows to Southern Iraq in political conflicts with Baghdad, causing damage to the natural heritage downstream. Iraq counts several dams, and some of these have recently been used for military purposes within the armed conflict that has been ongoing in Iraq for more than a decade; terrorists groups such as Daesh have on various occasions resorted to flooding as well as drying up of areas, which happened in 2014 in the Baghdad area. A great danger to any heritage. In Iraq, heritage has become a target in political conflict. However this could be reversed; it could be a driver for peace – a strategic asset for peace instead of conflict. In Iraq and Mesopotamia, it is through cultural heritage that reconciliation can be built and conflict can be prevented. Cultural and natural heritage can offer a shared heritage, a diverse past, and foster inclusion of communities, offsetting ideologies that instigate conflict and providing a narrative of a common identity. If heritage can demonstrate that cultural identities are flexible and in development, this can enforce connections between peoples and states. In Iraq and wider Mesopotamia the local population shares the heritage of the Tigris River. 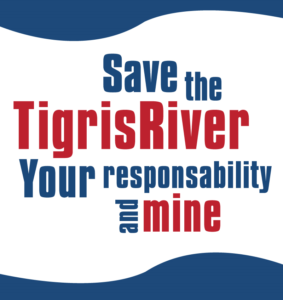 It is the lifeline of Mesopotamia, a river shared by all communities of the Tigris River basin. While communities can use water against each other – regardless of whether heritage and identities are purposely damaged – it can be a source of peace when populations are fully aware of the shared history and identity of the natural heritage that is the river. In Iraq, the archeological sites and the natural environment of the Ahwar constitute part of the heritage of the Tigris River. 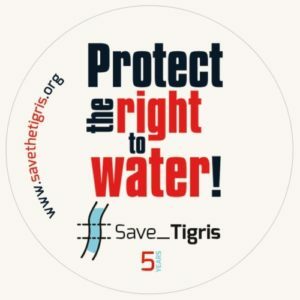 It is essential to involve the indigenous communities of the Tigris River basin in the protection of heritage. Especially in a country like Iraq, where the state is not strong everywhere, it is necessary to rely on local political entities and groups. Indigenous people live among and, especially in the case of the Iraqi Marshes with its local Marsh Arab population, in between the heritage. Knowledge has to be shared with them for them to learn about their common history and foster their common identity. The cultural and natural heritage along the banks of the Tigris River points to the shared identity, past and future of all people of Iraq and Mesopotamia: a shared ownership. Instead of being a target of conflict, the cultural heritage of Iraq could turn into markers of peace. Report of the 2016 International NGO Forum on World Heritage. http://whc.unesco.org/en/list/277/documents, State of conservation report by the State Party / Rapport de l’Etat partie sur l’état de conservation. http://whc.unesco.org/en/list/1130/documents, State of conservation report by the State Party / Rapport de l’Etat partie sur l’état de conservation. http://whc.unesco.org/en/list/276/documents, State of conservation report by the State Party / Rapport de l’Etat partie sur l’état de conservation. Address by Irina Bokova on “Protecting Culture in Times of War,” Académie Diplomatique Internationale, Paris, 3 December 2012.